In paralel to the rising importance of seamanship in recent years, yacht production has increased all over the world. Together with few countries, Turkey is in the front line especially in the production of luxury yachts. Although new shipyards, marinas are opened, maganizes are published and many fairs organized every year, there is a lack of human resource needed in design field. 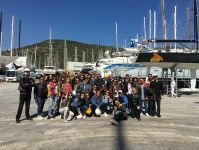 Yacht Design Program of Izmir University of Ecomonics has been opened to fill this gap and to educate the students as experts who are able to propose innovative designs, to develop materials, to figure out details for the sector. 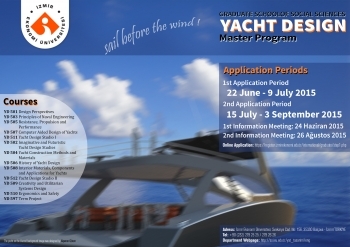 Yacht Design Master Program is aiming at the students to gain knowledge and skills in the field of yahct design and production, therefore as an objective, to take an active role in design and construction processes of present and future. Within this context, students are encouraged to participate in project exhibitions and an interactive environment is created with the trips to national and international shipyards and fairs and seminars and workshops in collaboration with the experts from the sector.